Featured amenities include dry cleaning/laundry services, a 24-hour front desk, and luggage storage. A train station pick-up service is provided at no charge, and free self parking is available onsite. Satisfy your appetite for lunch or dinner at The Redwood Restaurant, a restaurant which specializes in local cuisine, or stay in and take advantage of the room service (during limited hours). Quench your thirst with your favorite drink at the bar/lounge. Full breakfasts are served on weekdays from 7 AM to 9:30 AM and on weekends from 8 AM to 10 AM for a fee. Enjoy a stay at our inviting new Hampton by Hilton Dundee City Centre hotel. This hotel provides contemporary rooms and plenty of amenities right in the heart of the city. Within walking distance, you’ll find shopping, nightlife and restaurants to make your time in Dundee memorable. Take advantage of our central location and friendly staff to make you feel right at home whether you’re in the city for business or leisure.Spend a restful night on one of our comfy beds and wake up to a free, hot breakfast. In each room, you’ll find free WiFi, a workstation with ergonomic chair and a 32-inch HDTV. The well-lit bathrooms feature a power shower and fluffy towels. Use the coffee/tea maker in your room for a morning pick-me-up or a relaxing afternoon tea break. Explore the attractions including Discovery Point, Glamis Castle and St. Andrews.After a busy day of sightseeing or meetings, unwind in the hotel bar and lounge with a variety of international and local dishes. Stop by the 24/7 hub for single serve beverages, snacks and travel essentials. Get in a workout in the 24-hour fitness center with a range of cardio equipment and free weights. When you need to gather colleagues for a meeting, use our flexible space for up to 50 people. With a stay at Best Western Queens Hotel, you'll be centrally located in Dundee, just a 4-minute walk from University of Dundee and 9 minutes by foot from V&A Dundee. This hotel is 13.4 mi (21.6 km) from University of St. Andrews and 12.5 mi (20.1 km) from St. Andrews Links. 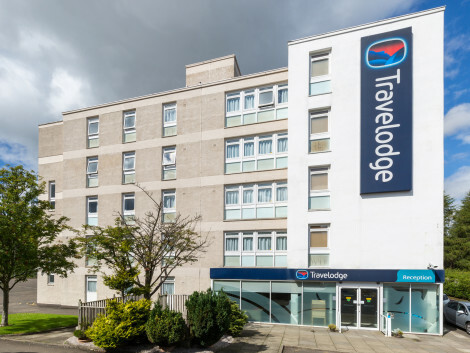 Dundee hotel in the city centre, with free WiFi and breakfast includedHoliday Inn Express® Dundee hotel places you within easy reach of waterfront attractions.Explore nearby Discovery Point and the RRS Discovery museum ship that Captain Scott sailed to Antarctica. A 10-minute walk away, Dundee station offers intercity train services around the UK, and the world-famous golf courses at St. Andrews are a 25-minute drive away. It's an easy walk to the V&A Dundee museum, the University of Dundee and Abertay University. Wellgate and Overgate shopping centres are within walking distance as well, as are cultural institutions The McManus art gallery and the grand Caird Hall concert venue. A 10-minute drive along the coast, the 15th-century Broughty Castle Museum, offers sweeping Tay Estuary views. Business guests can host events for up to 30 people in 2 naturally lit and well-equipped meeting rooms. 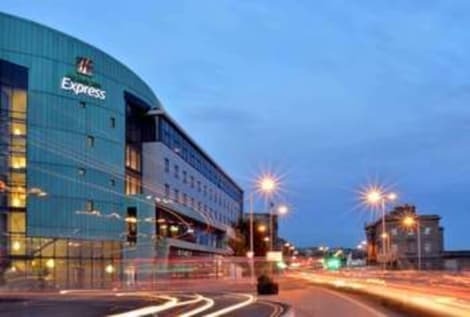 The Dundee & Angus Convention Bureau is nearby.At this hotel you can enjoy:- Free WiFi throughout- On-site parking at a daily rate- Blackout curtainsBegin your day with our hot Express Start™ Breakfast buffet included in the room rate. In the evening, you can relax over drinks at the bar and watch TV sports in the lounge. If you’re feeling peckish, order a bite to eat from the snack menu.